Our cabinet-makers have been busy with three very different tables recently. 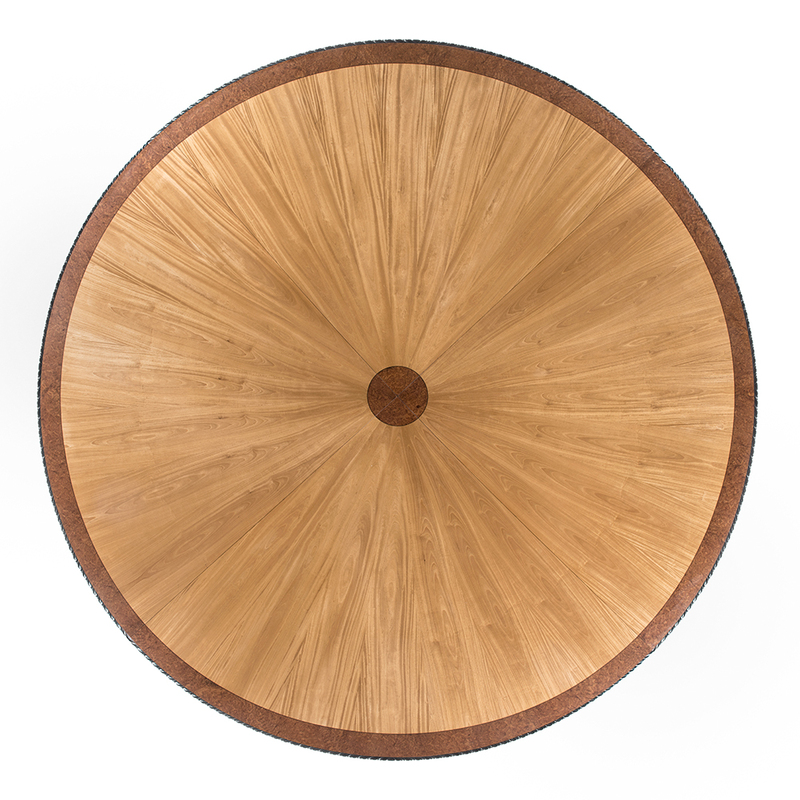 Our first is this new circular boardroom table which left our workshops recently. This show-stopper was enormous (it seats 15 and measures 3 metres across). 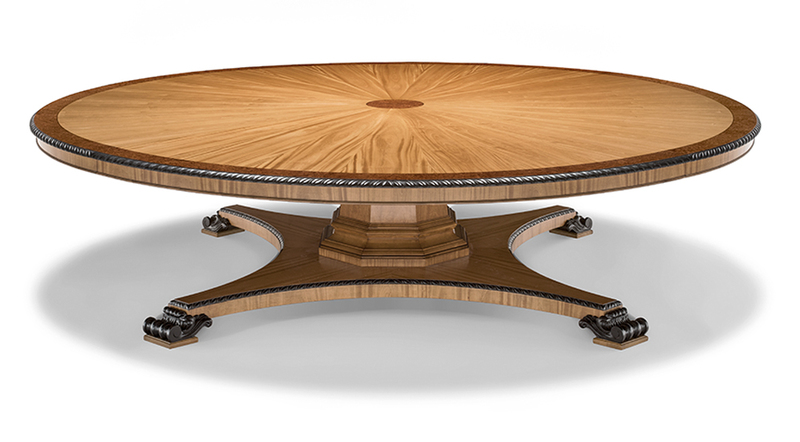 It’s a real connoisseur’s table which took our cabinet-maker Keith nearly two and a half months to make. The hand-carving alone took two weeks and it was in our polishing shop for nearly three weeks. 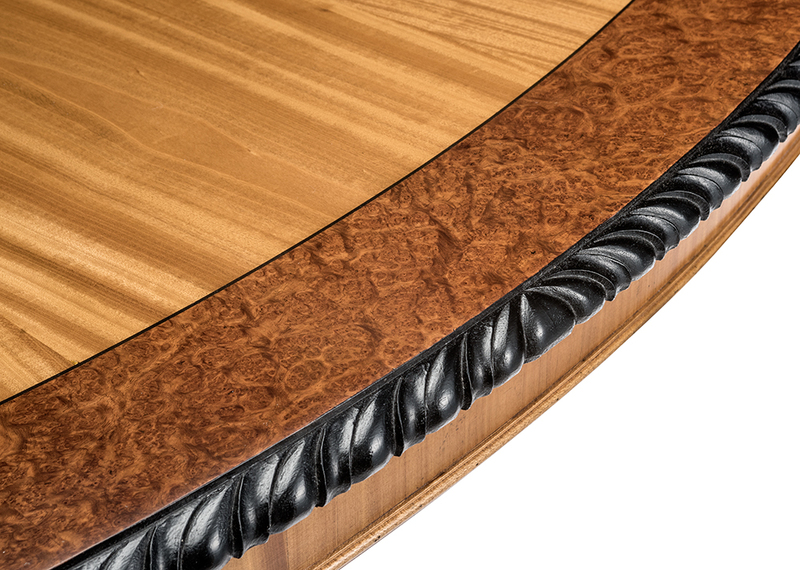 The distinctive wood on the hand-made table top is satinwood, with amboyna cross-banding and an amboyna centre inlay. 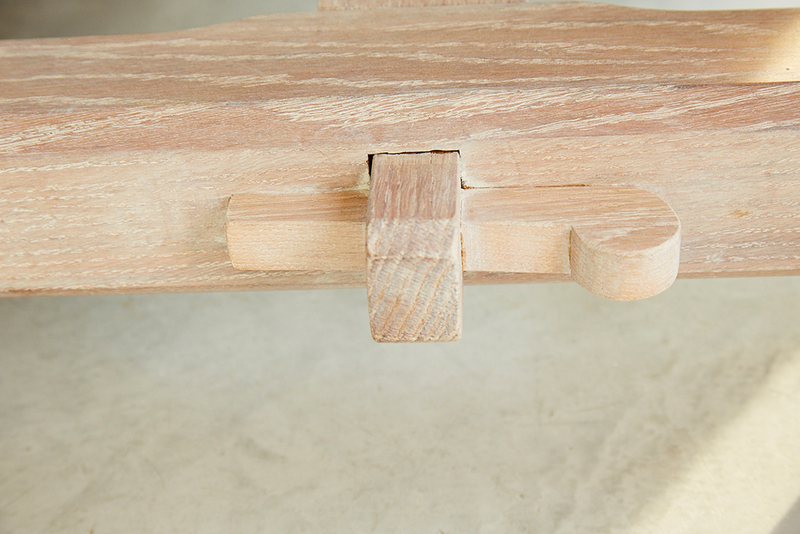 The outside edge of the table is hand-carved limewood. 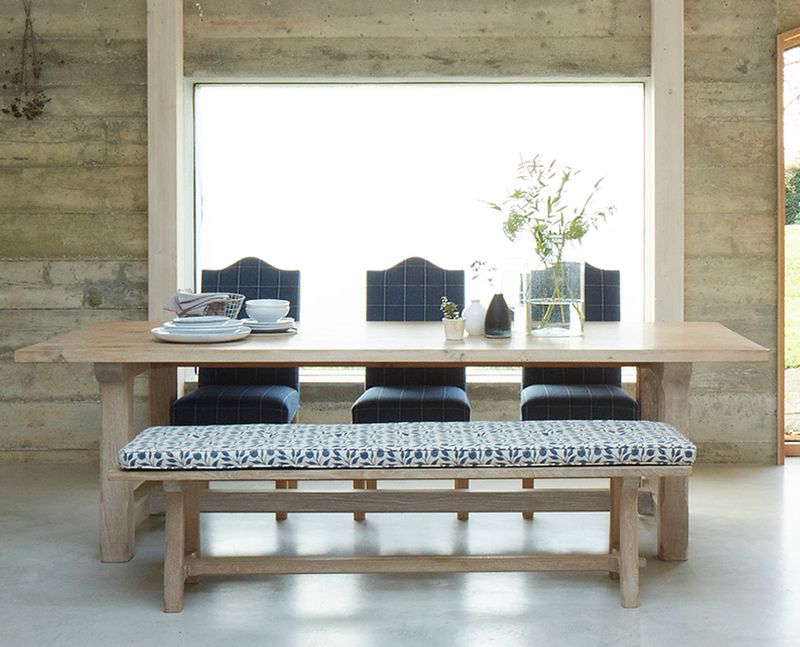 We think it’s a stunning table. Here are a selection of images of it, before it was crated ready for export. 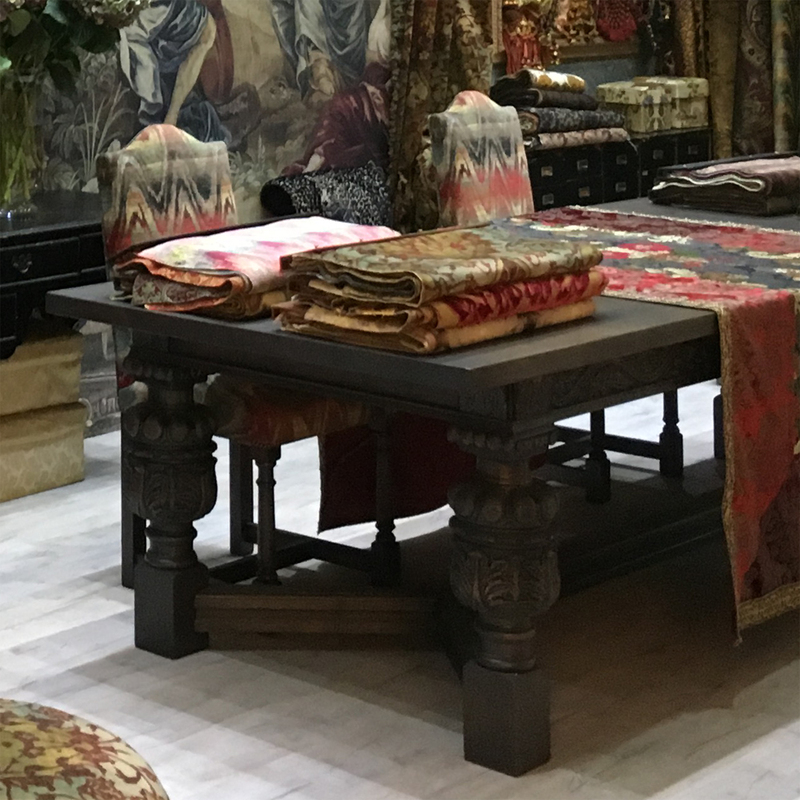 We’ve also been busy with this extravagant banqueting table which appeared at the interior design trade show Decorex in September on the Watts of Westminster stand. 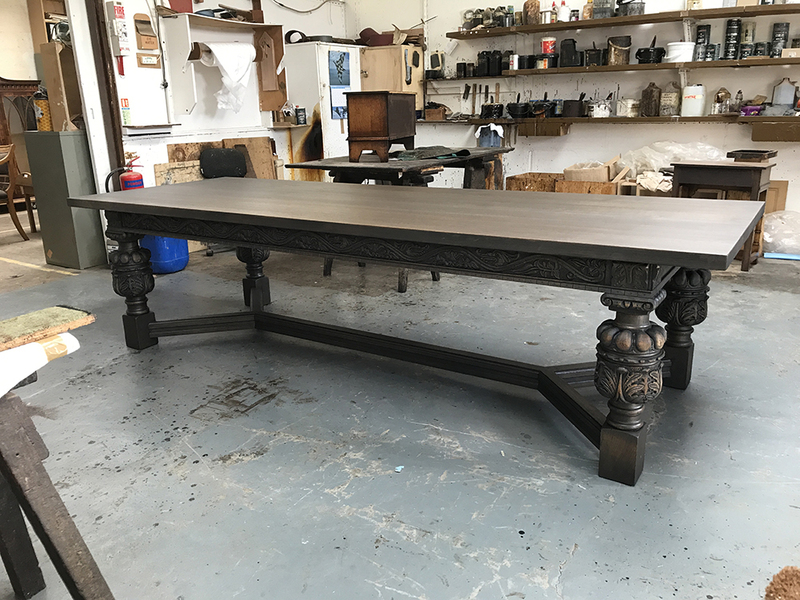 The Elizabethan-style banqueting table is made of solid English oak and featuring oodles of hand-carving in the legs and along the side-rails. 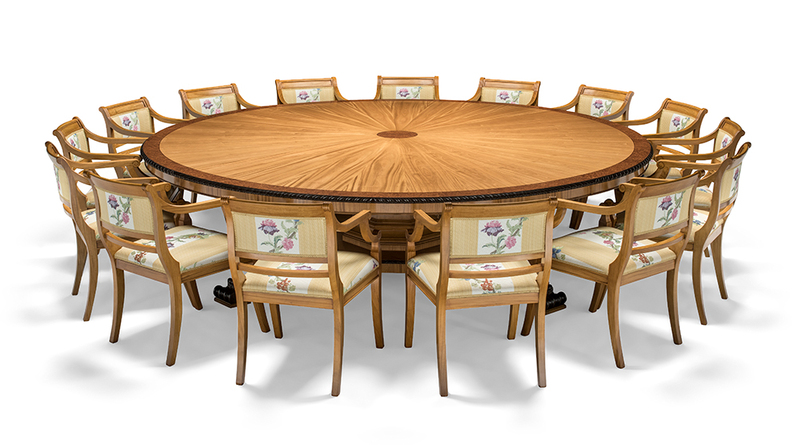 You don’t need a baronial castle for this hand-crafted table, we think it would look simply amazing in a modern setting. 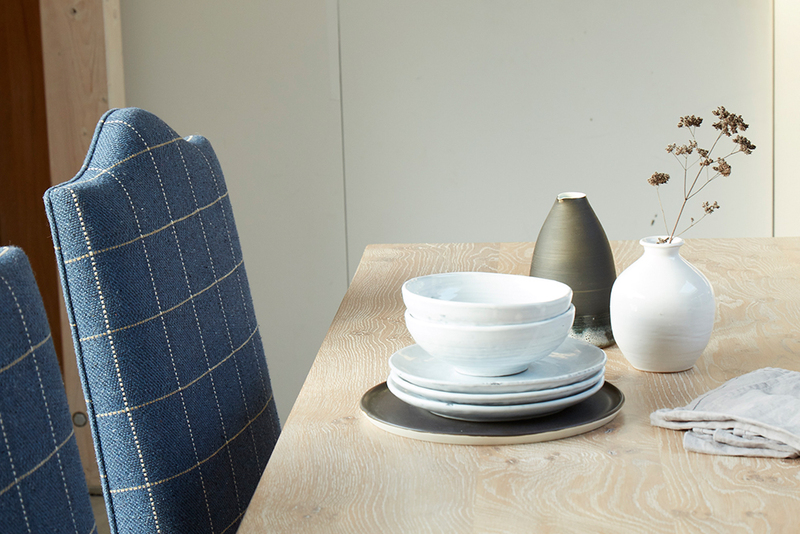 If you’d like to commission a dining table for your home or a boardroom table for the office, then please get in touch on 01473 252158. We can make any of our pieces in any colour, finish or size.